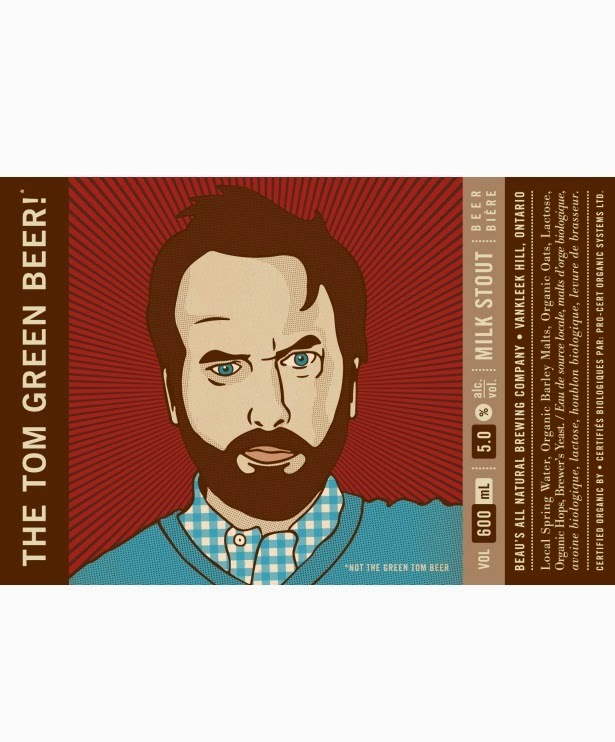 Today, LCBO patrons will begin to spot bottles of new release “The Tom Green Beer” Milk Stout: a dark, creamy and satisfying variety of stout beer, created as a collaboration between Beau’s All Natural Brewing and Canadian actor and comedian Tom Green. 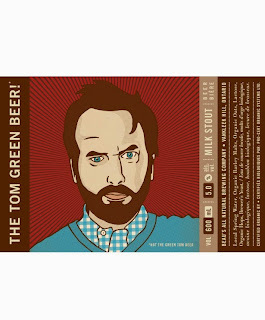 The first shipments of award-winning The Tom Green Beer are slated to turn up at select LCBO stores in Ottawa and Toronto just before the weekend; Beau’s will roll the beer out to more stores across the province next week. The Tom Green Beer was voted the winner of the Collaboration Nation competition at Session Craft Beer Festival in Toronto this past June, with its prize being put on the fast-track for an LCBO listing this fall. A few small batches of the milk stout were brewed by Beau’s All Natural over the summer for Ontario Craft Beer Week and a few other special events, with the intention of fine-tuning the beer for full-scale LCBO release. The aroma of The Tom Green Beer milk stout is a complex array of roasted malt characters, featuring notes of espresso, chocolate and a controlled smokiness. Roasted elements also dominate the flavour, but give way to subtleties such as hints of caramel and nut. Initially dry on the palate, the beer finishes with a gentle flourish of increased body and sweetness. The end result is a flavourful, robust, yet still quite sessionable 5% ABV stout. The Tom Green Beer is certified organic, and will be available in Beau’s All Natural’s signature 600 ml bottles for a retail price of $4.85. The beer will be sold at select LCBO stores across the province starting November 1, as well as from the Beau’s All Natural retail store in Vankleek Hill and the Ottawa-based home beer delivery service BYBO (www.bybo.ca).